Helmy was promoted in a move as part of a package of firings, retirements, and promotions that were seen as a reaction by the new president, Muhammad Morsi, to the security sector’s failures to control jihadist activity in the Sinai Peninsula. Helmy, along with Minister of Interior Ahmed Gamal al-Din and Cairo security head Osama al-Sagheer, was tasked with promoting security in the Sinai and restoring the Interior Ministry’s prestige. Helmy continued to be involved in the state response to the situation in the Sinai after Morsi’s removal. He gave a long interview to al-Ahram newspaper in December 2013 in which the interviewer asked about the abduction of soldiers from May 2013, suggesting that there was a deal or conspiracy involving President Morsi. Helmy acknowledged that while the jihadists and Muslim Brotherhood had common ideological tenets, there was no proof of any sort of conspiracy. Helmy did, however, criticize Morsi’s pardon of convicted terrorists early in his term, calling it the “peak of moral support for these terrorist organizations.” In the same interview, Helmy dismissed Brotherhood claims of government complicity in domestic attacks. In addressing claims of misconduct by the security forces, Helmy insisted Ministry of Interior was not responsible for the death of Mohammed Reda, a student who was shot dead during one of the many university protests that occurred during his tenure. Helmy was discussed as a potential replacement for Minister of the Interior Muhammad Ibrahim Mustafa in early 2014, as rumors of a cabinet shakeup swirled. However, when Ibrahim Mehleb became prime minister in February, he kept Ibrahim as interior chief. Helmy, too, remained in his position, and continued to dismiss all claims of misconduct by the security forces. In April 2014, Helmy retired from his position upon reaching the statutory maximum age. He was succeeded by his deputy, Osama al-Sagheer. 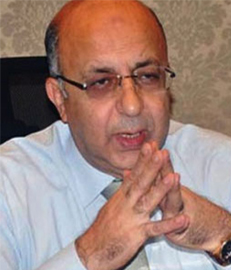 Helmy played a role in the government’s handling of several security threats in Cairo, as well, including the protests that erupted on university campuses in the 2013-14 school year, the effort to secure the constitutional referendum (Helmy was the face of the ministry’s attempts to convince the public that the referendum would be secure), and the general instability of the period.